"We collected our tickets from your office from the very efficient staff. There was quite a queue when we got there but visitors were being dealt with very quickly, and we had to wait just 5 minutes to be served. The tour bus was waiting outside and the tour was excellent with a very informative commentary on the earphones provided. There was no rushing and the sights we saw were amazing. We were then taken to the river boat trip and straight on board past the waiting crowds! A very pleasant and informative trip which returned us to the river bank just below the Eiffel Tower. We were then escorted to the Tower by our guide, and this is where I thought we would have to queue with the huge number of visitors in a very long queue. No way, we were given our tickets by our guide and WALKED STRAIGHT IN !!!! We were told we could stay in the Tower for as long as we liked. This was the best organised and easiest tour we have ever been on, and avoiding the long queues to go on the boat and especially to the Tower was the `icing on the cake`. 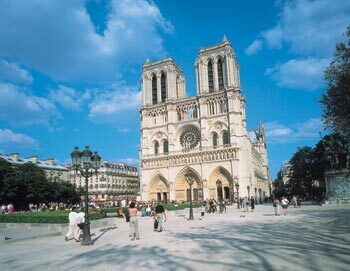 My Wife and I will be returning again to Paris and will have no hesitation in booking tours with you. This review might sound as though it was written by a member of Ticmate, but I can assure you we have no connection to Ticmate other than very satisfied customers. Thank you for your superb service. David & Yvonne John." Here you'll find all of our latest offers and special deals in Paris! Many of our offers are only available on our sites, so if you want to make sure you get the best price make sure to book your tickets from home.